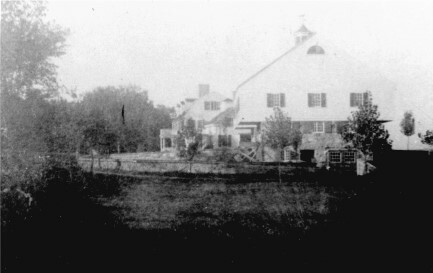 The Austin Estate as it appeared during the time period of the article. “WINDHAM, October 13.— The first annual fair given by the Windham Grange last Thursday was considered a marked success. The exhibits of farm products, fancy work, etc., were in great number and variety, and the attendance was large. About $25 was cleared, which was an unexpected feature. According to Eugen Gaddis, in the “Magician of the Modern,” Mrs. Austin bought the property in 1913. This was a time in America when wealthy city dwellers were building “cottages” on lakes and the ocean and purchasing “gentleman’s farms in the country. “In the summer of 1913, Laura took steps to find a special place for herself and her boy. The cottage on the Maine coast, the address in Boston’s Back Bay, and Chick’s enrollment at Noble and Greenough were all outward signs of the Austins’ increased social status. 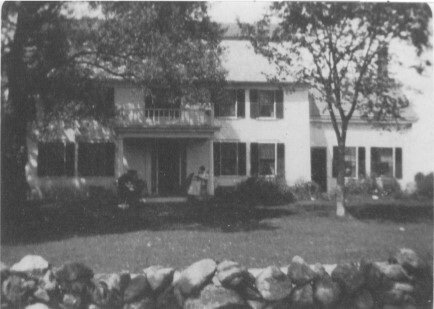 Now Laura wanted to join the landed gentry…’I decided to buy a farm in the country, where my boy could have a taste of country life, which I think is the inheritance of every boy, rather than a city street…’ She heard of a piece of property on Range Road in Windham, New Hampshire…comprising about eighty acres of woods and fields, which Laura eventually enlarged to a hundred, it ran along the crest of a hill and included a farmhouse, two barns, and the colonial house of her imaginings already furnished with antiques. The land went down to the edge of Cobbett’s Pond…The main house looked out across forested hills to Mount Monadnock, sixty miles away. Later she turned the barn next door into a Pennsylvania Dutch- style house which she called Barn Manor.” Later, her son would establish the Windham Playhouse in the 1940’s-50’s. Despite being a cosmopolitan and sophisticated man, Austin always loved the Windham property and is buried on the Cemetery on the Hill. “The Ladies Aid Society, of Canobie Lake, hold a harvest supper this evening at the Searles Chapel.” “This evening occurs the marriage of Miss Ruth Abbott, of Wakefield, Mass., who has spent the past thirteen summers at Fairview on Cobbett’s North Shore, to Walter A. Hendrickson, of Wakefield. This entry was posted in Uncategorized and tagged Austin family, Everett Austin, Windham Playhouse. Bookmark the permalink.